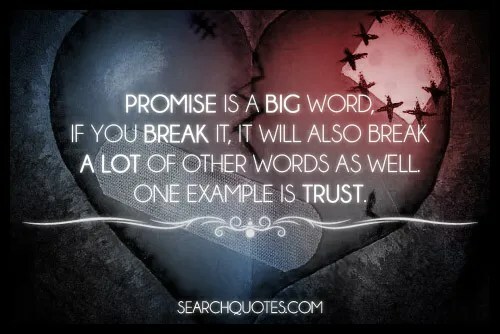 Promise is a big word, if you break it, it will also break a lot of other words as well. One example is trust. Merry Christmas to you also Michael.